Divine.ca welcomes spring with a Spring Beauty Contest! 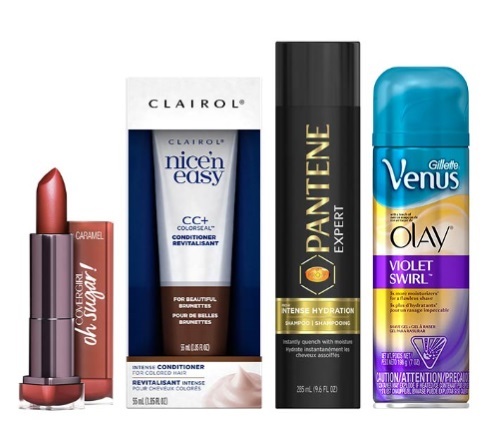 Enter to win a prize pack filled with lots of P&G products! Total approx. retail value: $128.86. The basket includes an Olay Fresh Outlast body wash, a Secret Outlast Xtend deodorant, a Clairol Born red coloration in Natural Medium Auburn, a Clairol CC + Colorseal conditioner in Beautiful Brunette. A Primer-Combination skin formula, a blush and a bronzer from the COVERGIRL truBLEND line. A COVERGIRL Plumpify Mascara by blastPRO and a COVERGIRL Colorlicious Oh Sugar!. A Venus Shave Gel Violet Swirl with Touch of Olay, a Pantene Expert Intense Hydration collection and a Pantene Pro-V Daily Moisture Renewal 3 Minute Miracle Deep Conditioner! Contest closes April 12, 2016.